December is here, and winter is finally making an appearance in the Carson Valley. For me, this means a shift in my subject matter, settings for my camera, and the weather. I’m definitely dressing a little warmer. Susan knitted me some fingerless gloves to wear while I’m working, and they are wonderful! Photographing snow brings new challenges – it’s white and very bright. I read an article in Outdoor Photographer magazine last year that gave methods for shooting in the snow. I guess I better dust it off. The shorter days and cooler weather makes the predators hunt at different times of the day, making them more visible – I’ve seen more Coyotes this year than ever before. My lovely bride saw one walking up our street and then through our backyard a couple weeks ago. These Coyotes are fat, too. 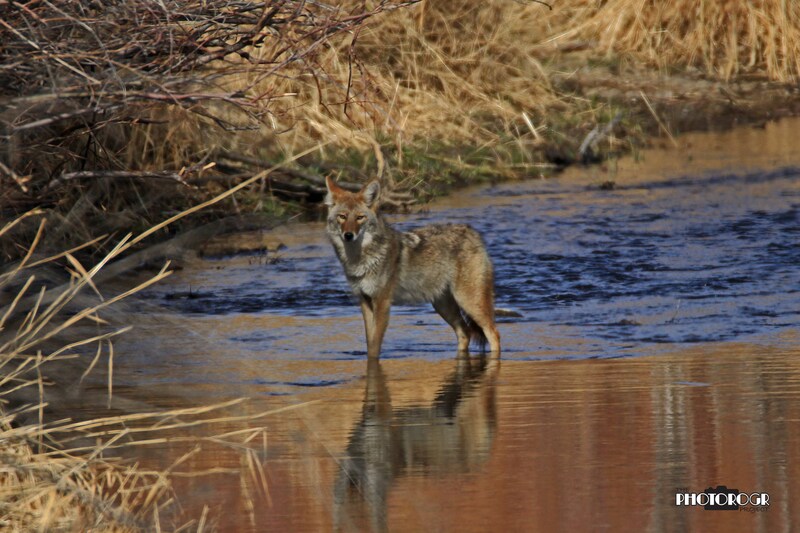 I had my eye on a Hawk, and saw this Coyote out of the corner of my eye along an irrigation ditch. 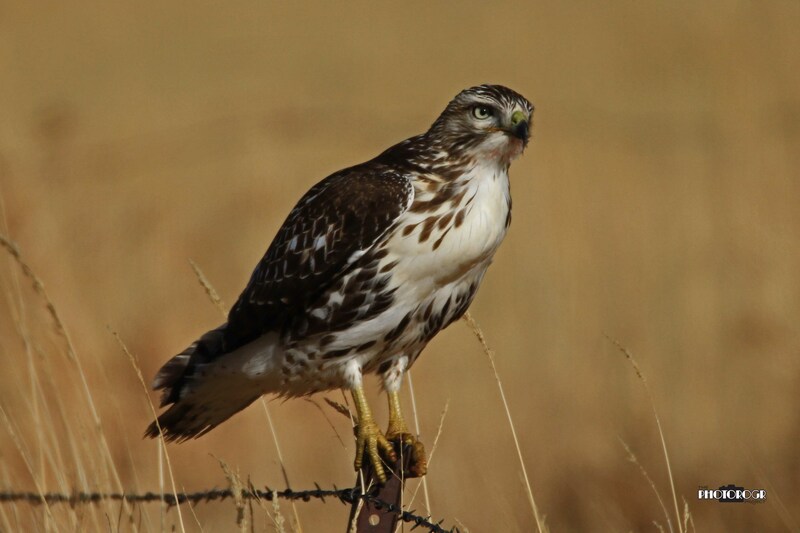 As I made a few images of him walking along the ditch, he turned and crossed the ditch. Challenges also include the wind, rain, and generally skittish wildlife. 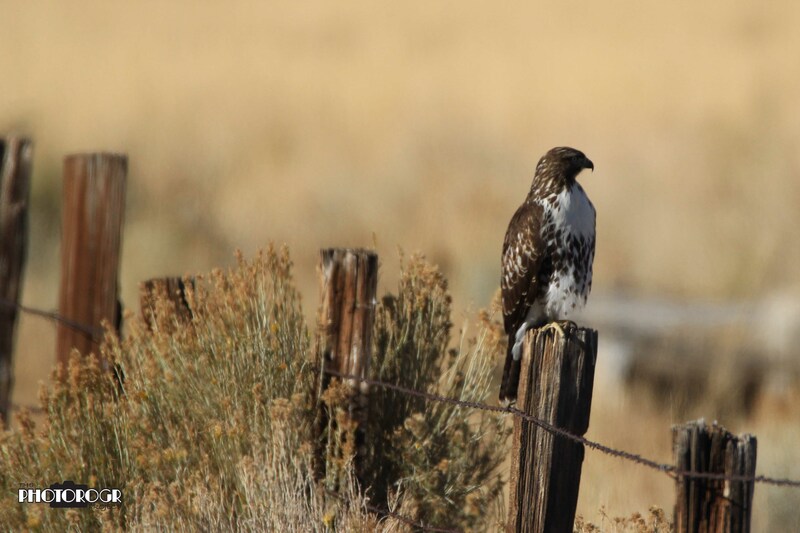 The Hawks and Coyotes leave when they see a camera pointed their way. 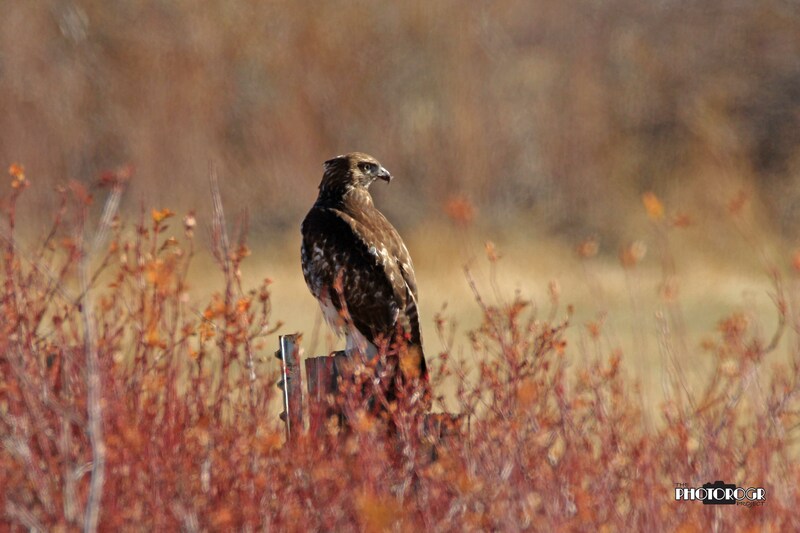 I found these three Hawks last Saturday. The wind was fast and they were hanging on to the posts for dear life. 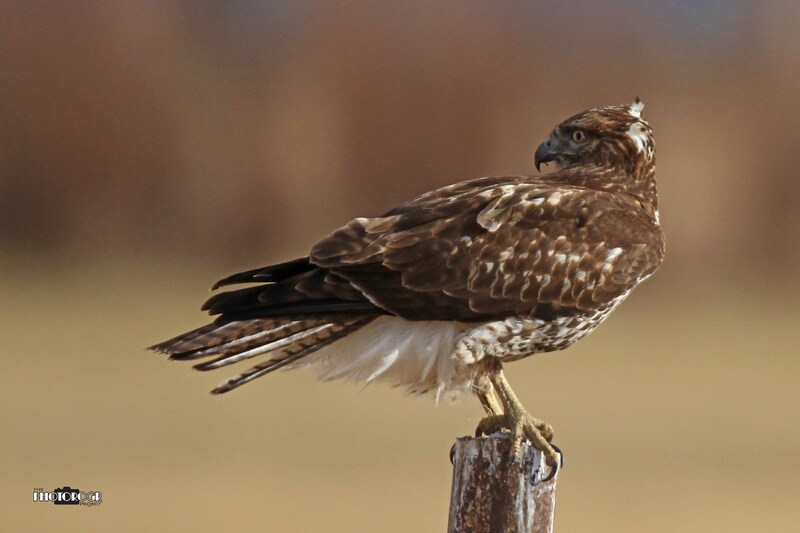 When the wind is calm, Hawks sit nearly upright as they hunt for their next meal. 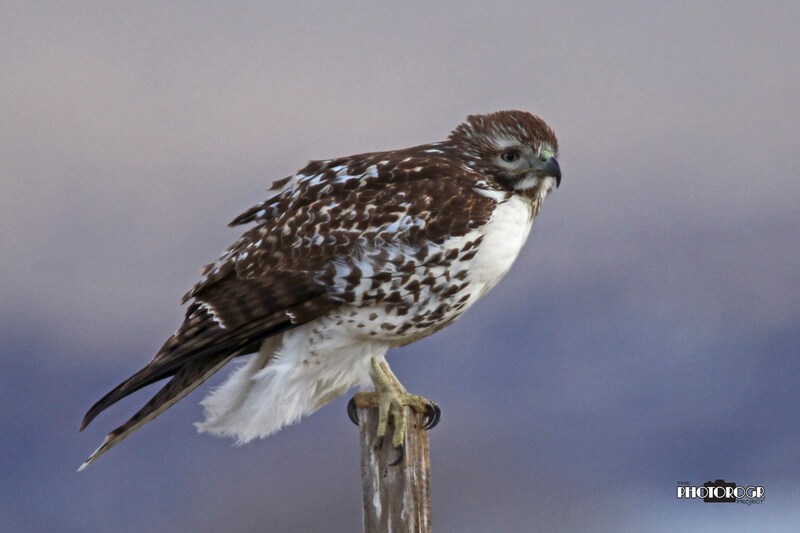 Check the Birds page for more images. But the opportunities far outweigh these challenges. I made this image of Jobs Peak as a storm was coming over the Sierras and into the valley. I’ve driven down this road numerous times, but this scene jumped out as I drove by. One does not find this kind of image in thew warmer months. 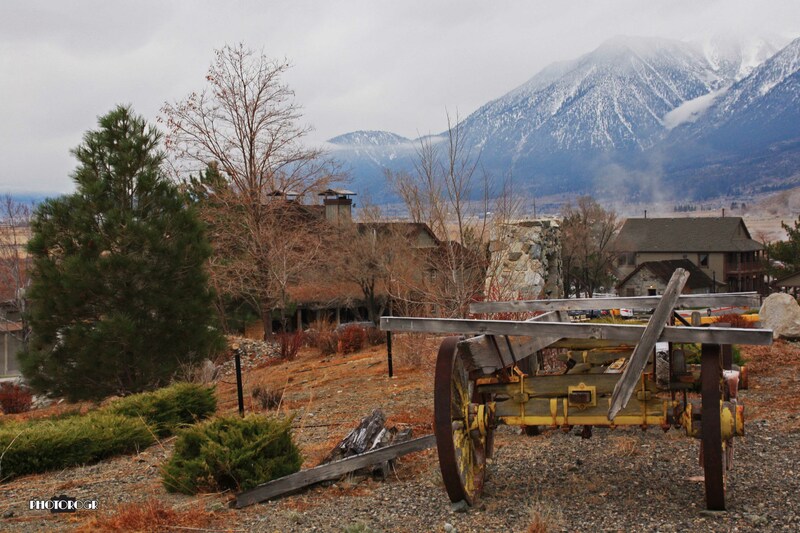 The wagon and buildings are at David Walley’s Hot Springs – a popular spa and resort in the Carson Valley. I love the colors in the foreground and background. And I love the way the shallow depth of field works here. 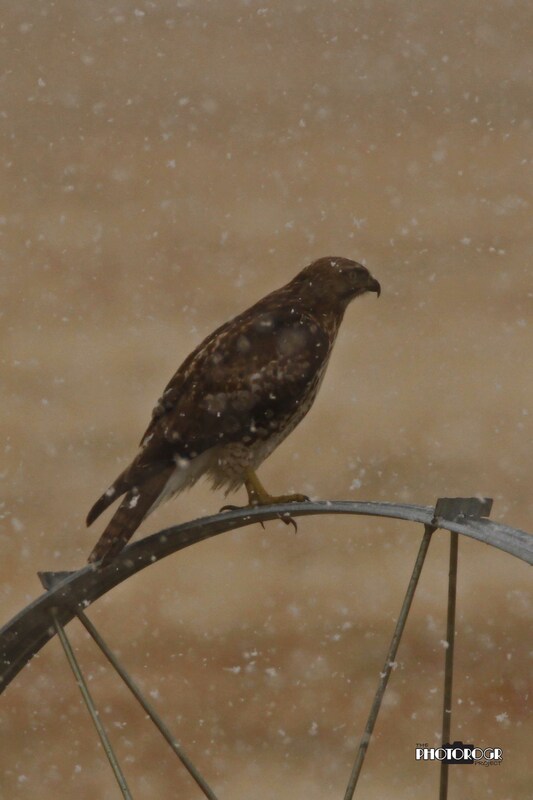 This Hawk was hunting from a sprinkler system. The snow was just starting to fly. I made this image of the female Bald Eagle on a cool morning last week. As always, she was very accommodating and sat still for the hour I was there. The bare branches don’t have the same impact as brilliant yellow leaves. See the Birds page to see that image. 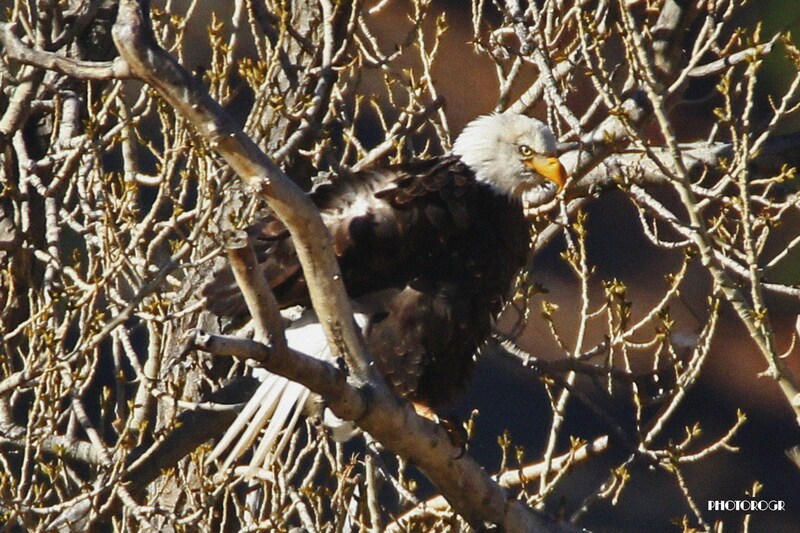 And the cooler weather brought new visitors to my backyard, as well. 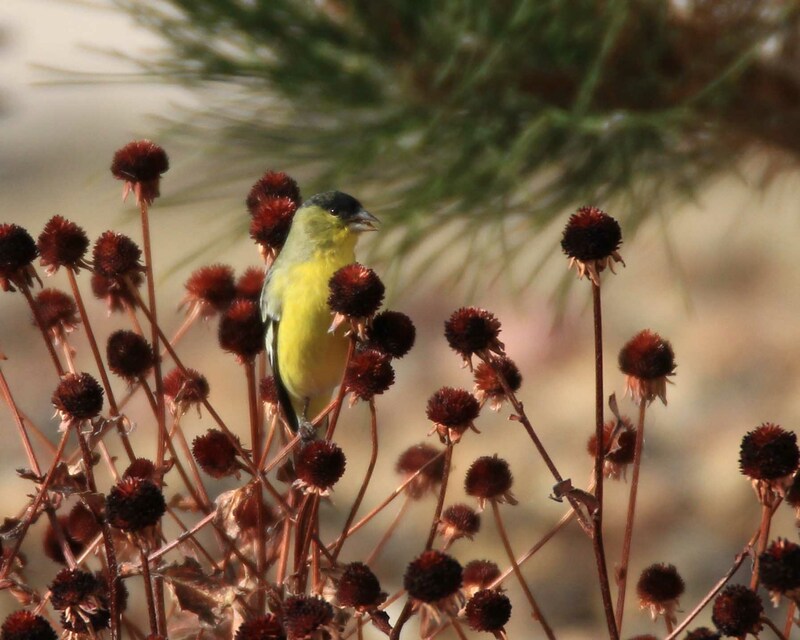 These Finches (Goldfinch and Lesser Finches) visited on Thanksgiving Day. They’re very fast and don’t sit still for very long. My big lens and a quick eye are critical to making these images. 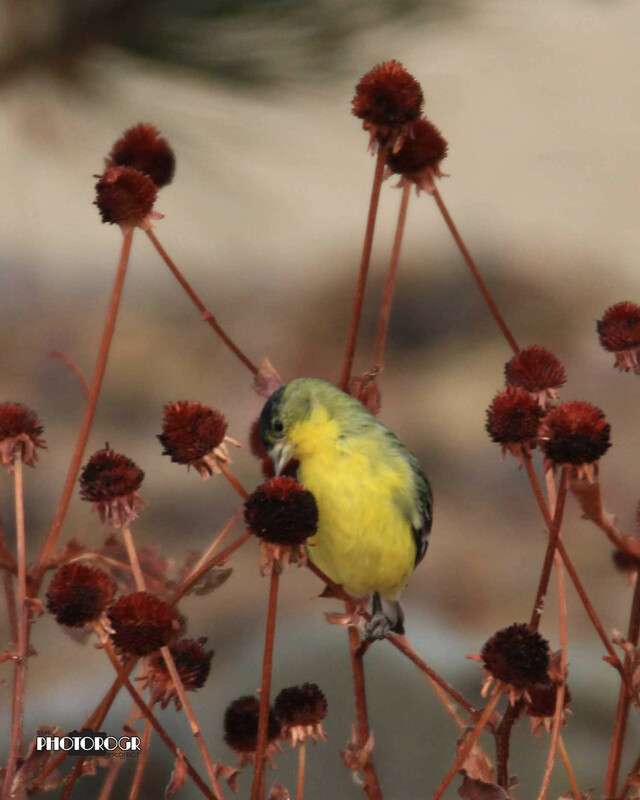 Goldfinch munching on Black-Eyed Susans. 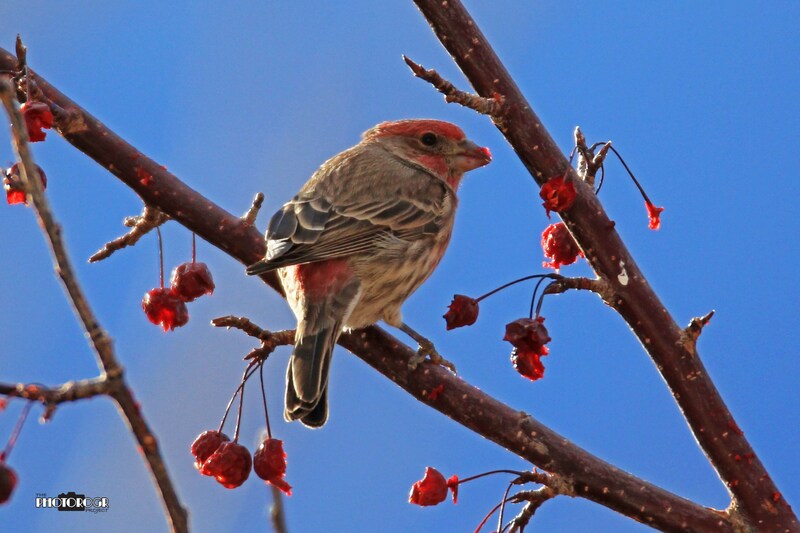 This male Lesser Finch is eating the berries on our Perfect Purple Plum tree. See the berry residue on his beak? 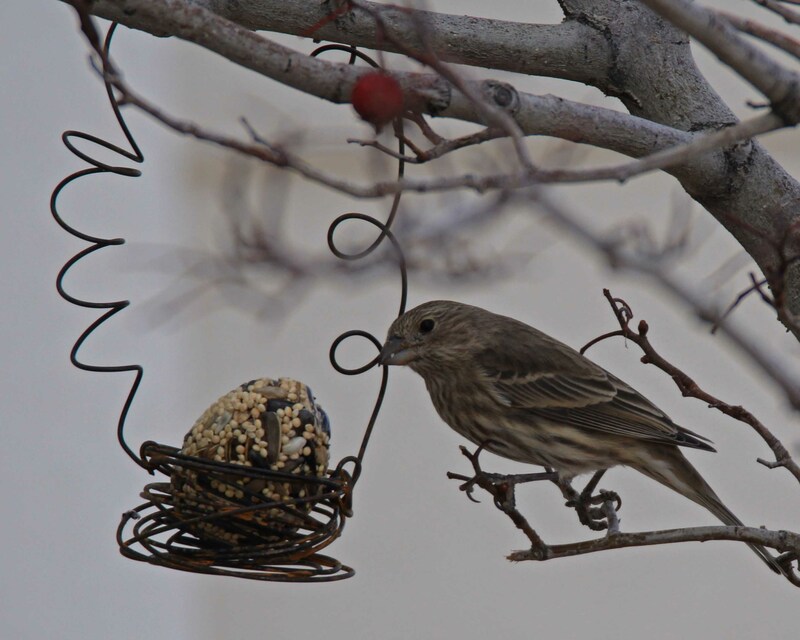 This female Lesser Finch is eating a seed egg. Thanks to our kids for giving us this bird feeder. We watch these birds from our breakfast nook window. Another Goldfinch. They love these flowers.